At home on the green trails of the planet - the casual shorts for eco aware cyclists and outdoor athletes. Super comfortable and windproof, they make a strong statement when it comes to a sustainable lifestyle. Ventilation supports a good microclimate. 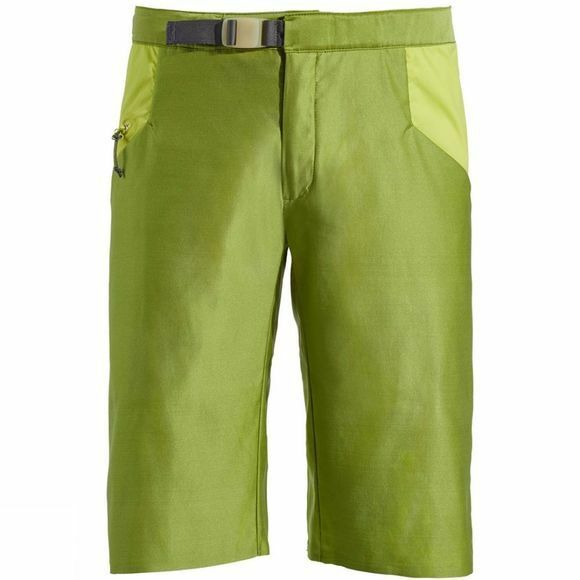 With reflective elements, an integrated belt, practical pockets and an extra phone pocket round off the functional Green Core Tec shorts. The primary material is made from EcoPaXX. This is a biobased polyamide, 70% of which is produced from castor oil, a renewable raw material. EcoPaXX can also be processed into injection molded plastic components. It has been used for all zips on the shorts. The bike-specific stretch insert on the back is made from a recycled material: Econyl, a material made from post consumer products such as recycled fishing nets. 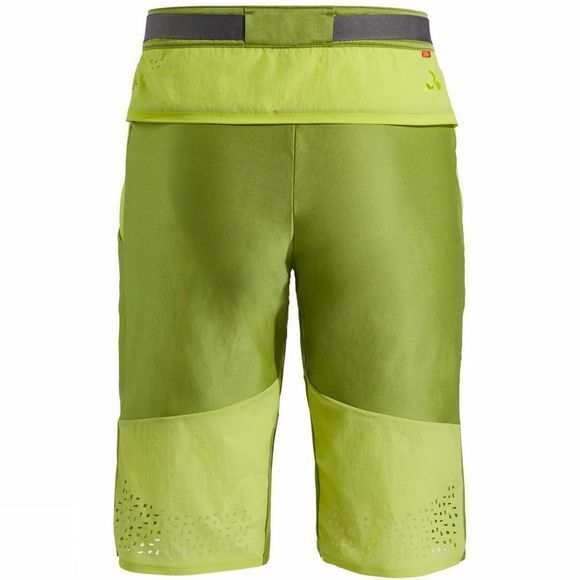 The Green Core Tec shorts are versatile and can be combined with the other products of the VAUDE Green Shape Core Collection as well as with other bike inner pants.